Nine Mellor Strata low floor buses have been purchased by Arriva North West for deployment on a range of light scheduled bus routes. 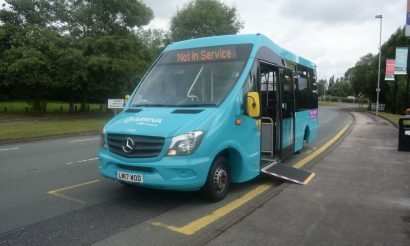 Arriva North West has taken delivery of nine Strata low floor buses; five are being used on services in Macclesfield town and the remaining four in Winsford. 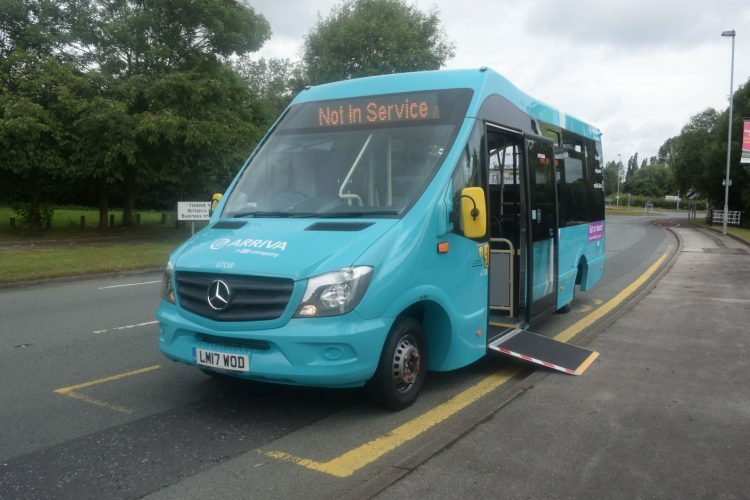 “We looked at a wide range of potential vehicles that would be suitable for use on these routes when we were sourcing our buses, but they were more ‘van like’ and offered a lot less capacity,” said Mark Wynne, General Manager for Arriva Winsford. “The Strata provides seating for up to 22, while giving a very good first impression by being much more ‘bus like’ than many others on the market. 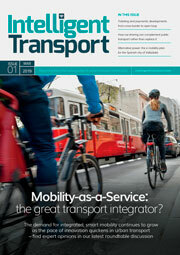 The passengers really like them too, particularly as they include all the features and benefits that they would expect on a standard sized bus. Featuring the Mercedes Sprinter chassis, each bus has a passenger capacity of 22, having been built to Arriva’s high specification and including interior features such as E-leather trimmed seating, Wi-Fi, USB charging points and CCTV. The Strata bus allows for easy operation in narrow city centre streets and country lanes without compromising on passenger capacity. Available in three seating and space configurations, the single step entry floor bus offers reduced running costs of up to 22mpg when compared to larger single deck buses.